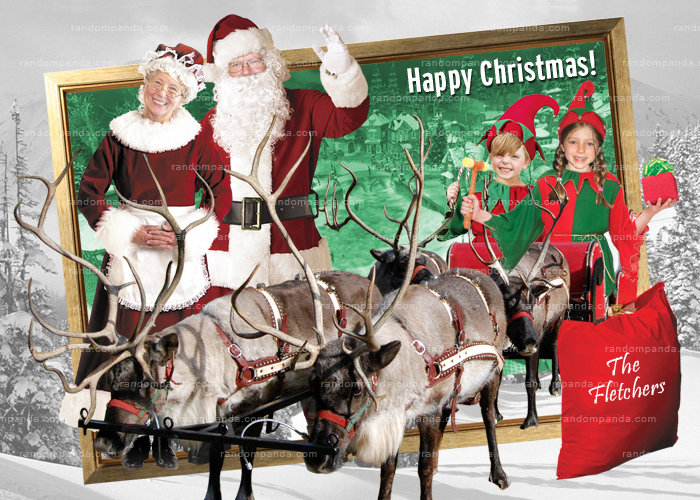 These 5x7 Holiday photo cards are bright, colorful, and perfect for a funny Christmas Keepsake. Turn your family into Santa, Mrs. Claus, and Elves. Want different characters? Please contact me. 1. Place the order. This card comes in 5x7 only. * This includes 4 people. Within 24-72 hours, you will receive a proof via e-mail. Once I have your approval I will email you the 300dpi high resolution image so that you may have it printed at a photo-lab of your choice.